Read about Hixson scholars, the Odyssey Program and first-generation guidance in our latest issue. The estate of two native small-town Kansans will help fund much-needed scholarships. The gift will support research for blockchain, cryptocurrency and digital payments. 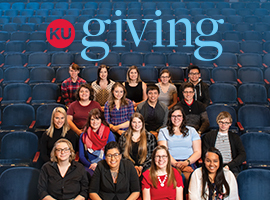 Our Spring issue of KU Giving is hot off the press and fresh online. Read about how the Hixon Opportunity Awards help students pursue their dreams. 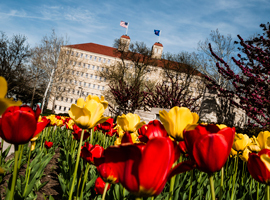 Last year, donors supported KU with more than $258.8 million in donations. 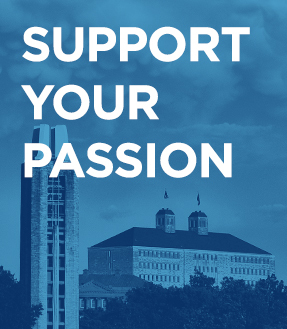 Large or small, every gift contributes to building a greater KU.